In 1945 there was a case where BA Collieries Ltd versus the LNER Railways. 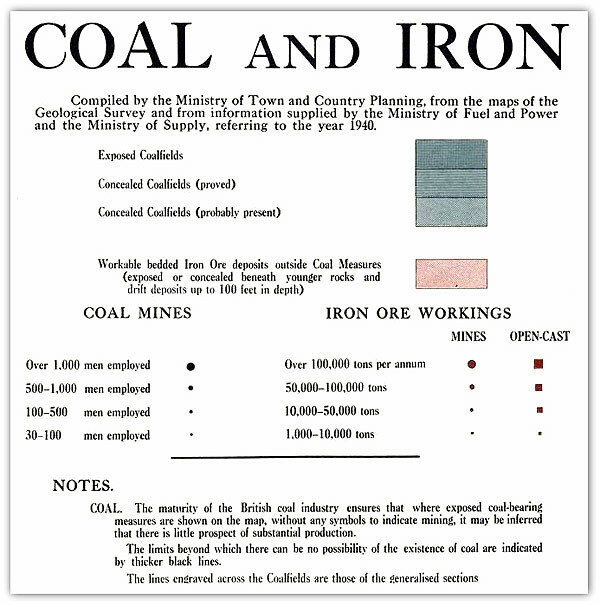 It was held that the company’s compensation for the sterilization of coal due to a protection area should allow a deduction for the amount the colliery company would have had to pay to the railway had the coal been worked. That is where no counter notice was served. 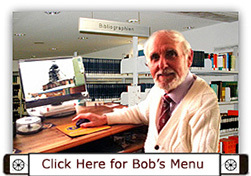 This Agreement was subsequently revised in 1959 (see). Butterley Drift (Butterley Co Ltd) Denby, 54/24 sinking. Woodside No1 drift (Shipley Collieries Ltd) Shipley, 11/nil, sinking. 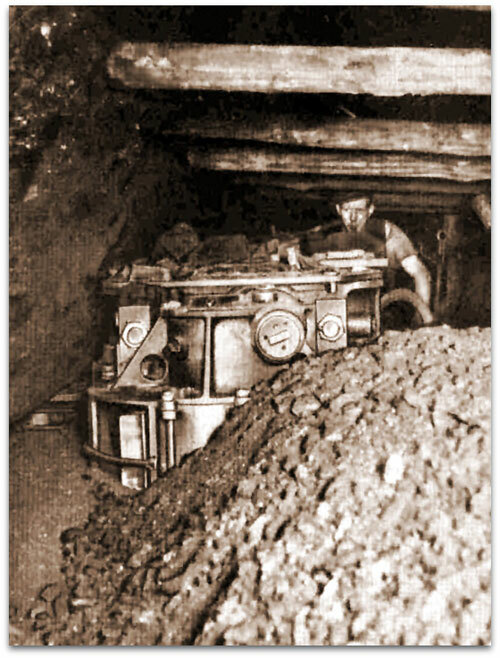 There were still 66 pits working on the exposed Coalfield employing around 44,000 men and boys in North Derbyshire and Nottinghamshire in 1945. 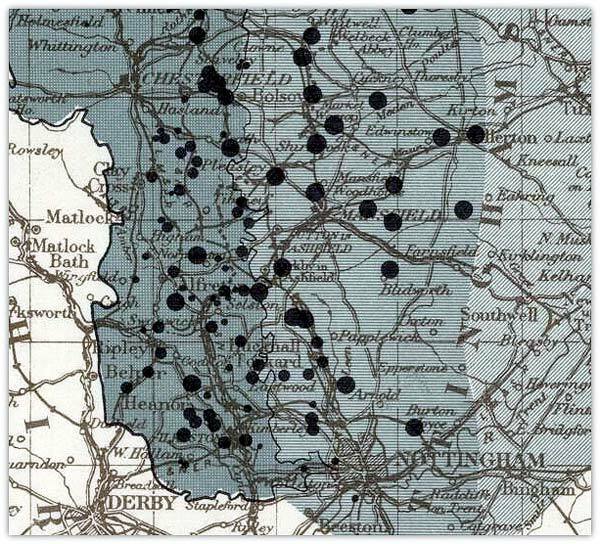 The Leen Valley and Mansfield, Sutton and Kirkby areas had 26 pits with approximately 28,000 and a third area comprising pits sunk to the East in Nottinghamshire after 1918 numbered 8 pits with 12,000 employees. Butterley Co installed a central washery costing about £250,000 at Denby Hall colliery capable of 400 tons per hour throughput. The company now had only about 40 ponies working underground at their collieries. The above is the part of map key that explains what the dots in the map above represent. Wingfield Park No2 (Gregory Reddish and Co Ltd) South Wingfield Park, Halifax Hard, ganister and fireclay discontinued. Clay Cross No6 (Derbyshire) Deep Hard, Nov and No7 Blackshale both abandoned Dec, Surveyor George Wilfred Fox (796). 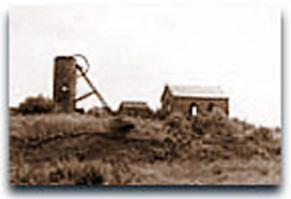 Netherseal (South Derbyshire) (Netherseal Colliery Co Ltd), Kilburn finished 22 Dec 1945, Surveyor R Hughes (1015). Britain (Derbyshire) sunk in 1874 by Butterley Iron and Coal Co. Situated near Ripley at Butterley Park. 540 ft (164.5m) to Deep Soft, 720 ft (219.5m) to Low Main. Merged with Brands colliery 1906. Pithead baths were opened in 1938. Jack G Belfitt (2265) 1942-1948. Shotfiring accident at Britain Colliery, 10 Apr 1867. See 1944 for others. 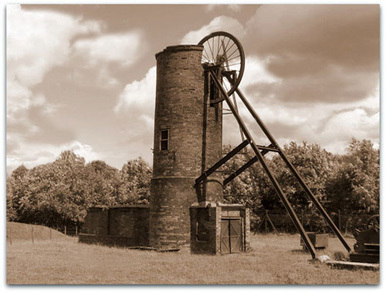 The Britain Colliery site was used for coal tipping in the early 1960s and whilst I was Assistant Surveyor at Teversal I was charged with surveying the conical heaps with a couple of assistants to check on the quantity for audit purposes. Why me, I worked at Teversal? It was a simple job really do to the symmetrical heaps and me and the couple of assistants were able to lounge about for a couple of hours, smoking, waiting for Jerry Hancock the Group Surveyor to transport us back to our respective pits. My calculation of the tonnage agreed quite well to the amount tipped there by lorry load. I assume that the ‘powers that be’ accepted the result as i never heard anything about it afterwards. Leicestershire 28s 0¾d (£1.40) per shift. Whitecotes Deep Soft or Flockton seam.